Great Mis Tor is one of the larger tors on the southern moor sitting high above the River Walkham and Merrivale. Along with North Hessary Tor and the mast this is one of the few tors that can been seen from the north moor end of Dartmoor. 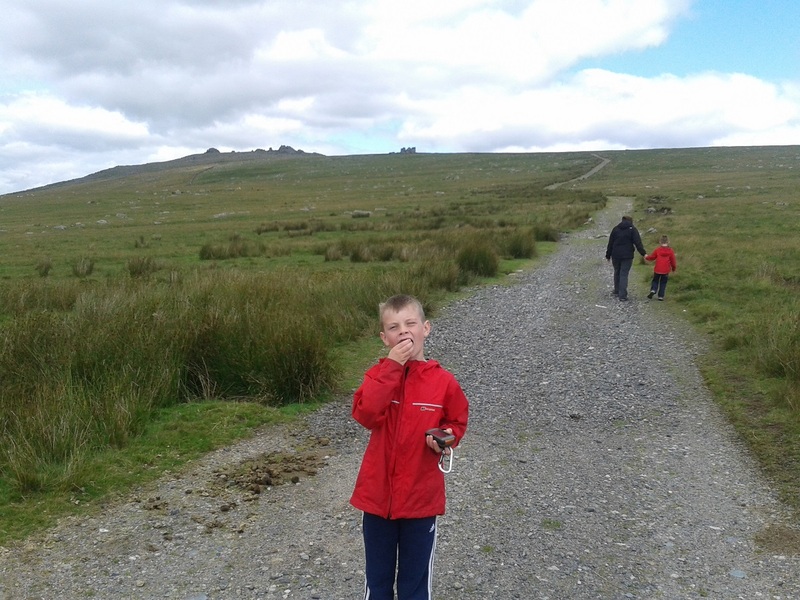 There are plenty of parking spaces along the Princetown to Tavistock road from which to start an ascent of this tor. The views are fantastic in all directions, with Plymouth Sound in view on a clear day. 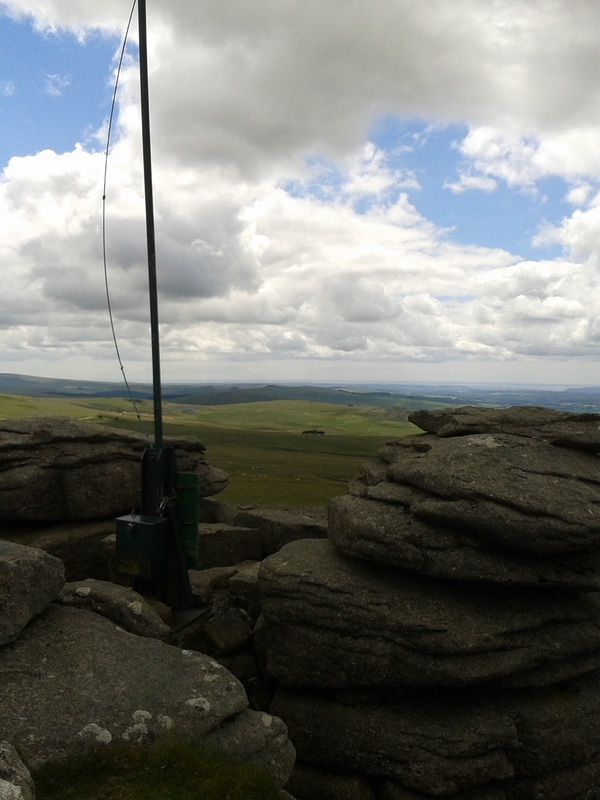 Great Mis Tor lies on the edge of the Merrivale firing range and a military flag pole sits on its rocks at its summit indicating whether entry beyond is allowed. 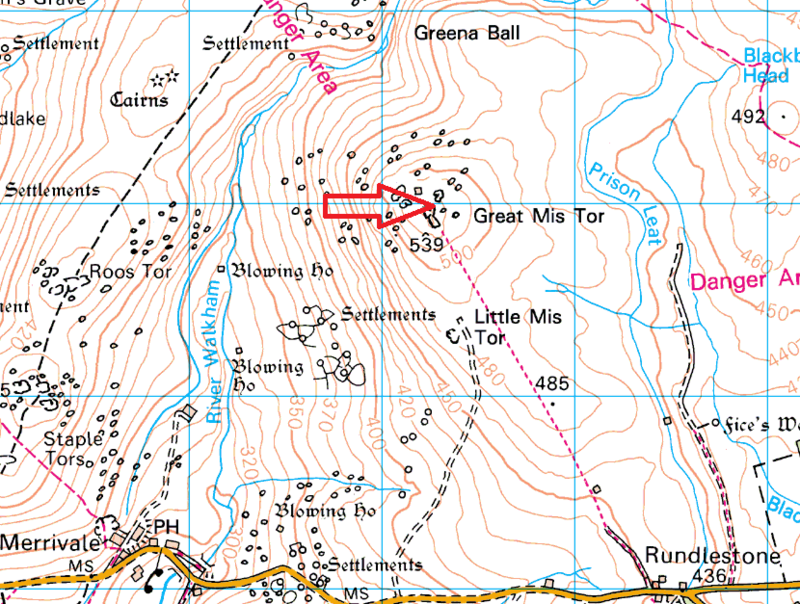 Heading up the path to Great Mis Tor (back left), Little Mis Tor is the small group of rocks infront to the right. 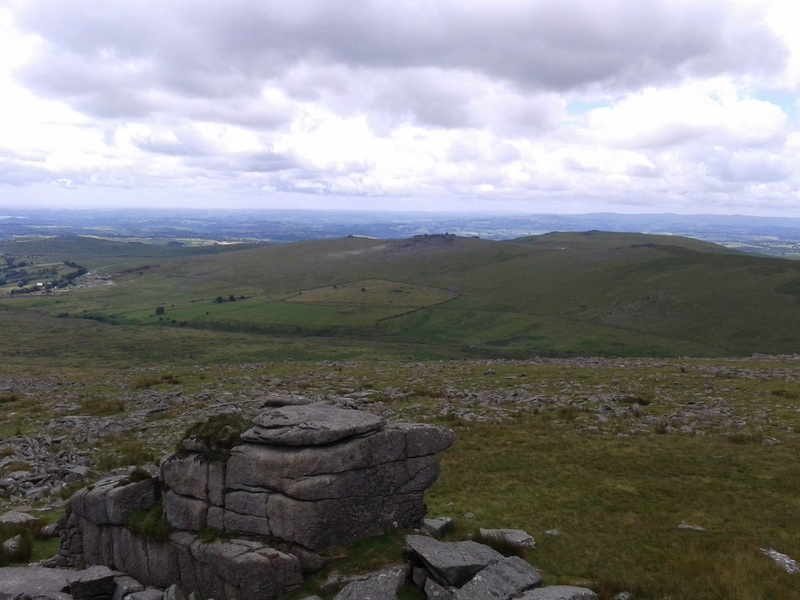 From the summit of Great Mis Tor with views to the Staple Tors, Cox Tor and Cornwall beyond.